His Eminence, Archbishop MARK was consecrated to the Holy Episcopacy on December 5, 2004. His consecrating bishops included His Beatitude Ignatius IV (Orthodox Patriarch of Antioch) at the Patriarchal Cathedral in Damascus, Syria as well as othetr numerous Metropolitans of the Greek Orthodox Patriarchate of Antioch. 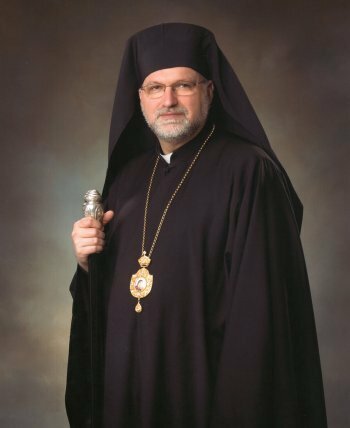 He was enthroned at St. George Cathedral in Toledo, Ohio on August 25, 2005 and served as Bishop of the Diocese of Toledo and the Midwest of the Antiochian Orthodox Christian Archdiocese of America. Archbishop MARK served as priest of St. John the Evangelist Church in Beaver Falls, Pennsylvania from 1997 to 2000. In January of 2001, he was assigned to St. George in Grand Rapids, Michigan. Archbishop MARK was born on June 22, 1958 in New Albany, Indiana. He was baptized in Our Lady of Perpetual Help Roman Catholic Church in 1958 and confirmed when he was nine. He attended elementary school at our Lady of Perpetual Help and graduated from New Albany High School in 1976. He completed his Bachelor of Arts degree at Oral Roberts University in Tulsa, Oklahoma in 1985. In 1987, he was awarded a Master of Arts degree in Biblical Literature from Oral Roberts University and accepted the position of Adjunct Professor of Old Testament at Oral Roberts University. Having been introduced to the Orthodox Church by the V. Rev. George Eber, pastor of St. Antony in Tulsa, Oklahoma and his professors of Church History, Dr. Jerry Sandidge and his Old Testament professor, Dr. Howard Ervin at Oral Roberts University, Archbishop MARK was received into the Church through Holy Chrismation on Great and Holy Wednesday 1989. He attended St. Vladimir’s Orthodox Seminary, receiving his Master of Divinity degree at St. Vladimir’s in 1991. From 1993 – 1997, His Eminence worked in mental Health as a Mental Health worker at Mercy Psychiatric on a dual diagnosis unit and from 1997 – 2000, as a crisis worker in the emergency room at University of Pittsburgh Medical Center in Aliquippa, PA.
Archbishop MARK was ordained a deacon on August 17, 1997. On September 7, 1997, he was ordained to the Holy Priesthood. Archbishop MARK was received into the Orthodox Church in America on January 1, 2011, and given the title of Bishop of Baltimore. On January 17, 2014, he was nominated to fill the vacant Episcopal See of the Diocese of Philadelphia and Eastern Pennsylvania at a special Diocesan Assembly at Saint Nicholas Church in Bethlehem, PA — he had served as the Diocese’s Administrator since 2012. On March, 18, 2014, he was elected by the members of the Holy Synod of Bishops of the Orthodox Church in America to fill the vacant Episcopal See of Philadelphia and Eastern Pennsylvania. His Eminence was enthroned as Bishop of Philadelphia and Eastern Pennsylvania, was celebrated at the Hierarchical Divine Liturgy at Saint Stephen Cathedral on Saturday, May 10, 2014. He was elevated to the rank of Archbishop during the 2015 Spring Session of the Holy Synod. He also presently serves as the Synodal Liason to the various commissions and departments of the OCA. Rev. Fr. Gregory G. White, Sr.
Born 1948 in Warren, Ohio to the V. Rev. Michael and Matushka Olga, Deacon Sergei is a graduate of St. Vladimir's Orthodox Seminary. Ordained to the Deaconate in 1992 he was later elevated to Protodeacon in the Orthodox Church in America. 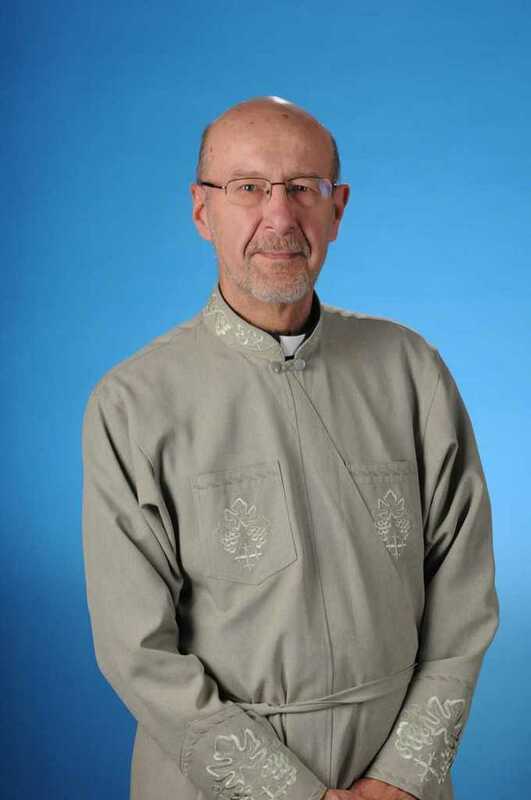 Attached to Holy Resurrection Orthodox Cathedral Wilkes-Barre, PA, Protodeacon Sergei has served as Cathedral delegate to OCA All -American Council and Diocesan Assembly, and is a member of the Diocesan Council and Financial Committee. He is married to Matushka Victoria and they have two, sons Sergei and Alexander. Lifetime involvement in ecumenical relations: NY inter-seminary movement; post-graduate student at the Ecumenical Institute at Bossey, Switzerland; internship at a large Baptist church in London; Cass Lake Episcopal Camp, Minnesota and Wyoming Valley Council of Churches. Currently member of Christian Communities Gathering of Northeastern Pennsylvania; Orthodox Church in America delegate to National Council of Churches General Assembly/Unity Gathering and proxy on its Governing Board and as proxy on the national Christian Churches Together Executive Board. First Orthodox member of National Council of Churches Eco-Justice Working Group, appointed to represent the Orthodox Church in America and board member of its successor Creation Justice Ministry. Founding and steering committee member of the Orthodox Fellowship of the Transfiguration (OFT), a national environmental fellowship endorsed by the Orthodox Episcopal Assembly of North America. OFT seeks to relate the teachings of Orthodox Christian tradition and practice to current environmental needs and concerns, to help parishes grow in their understanding and experience of Christian teachings and practice on Creation, so that we all may contribute to more balanced ways of living and community amid current environmental challenges. Retired after 31 years as Program Director, then Budget-Contract Director, for Step by Step Inc. a provider of social and rehab services for individuals with mental health or intellectual disabilities.